The Canada Memorial was unveiled by the Queen in 1994 and remembers the one million Canadians who served with British forces during the two World Wars. 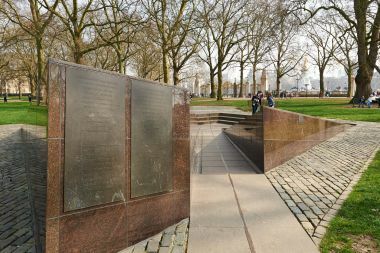 The narrow walkway, dividing the memorial in two, faces the direction of the Canadian port of Halifax in Nova Scotia, from where many Canadian service personnel sailed for Europe. 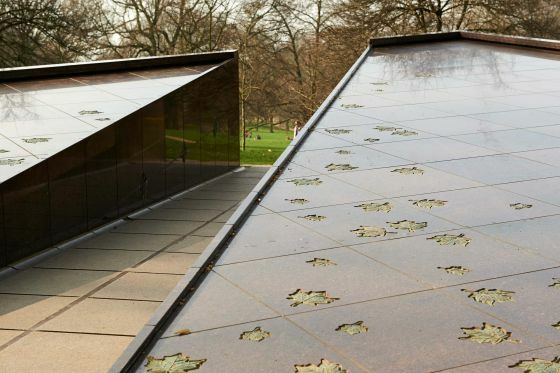 The bronze leaves embedded in the granite are maple, the national symbol of Canada. The designer was the Quebec artist, Pierre Granche. 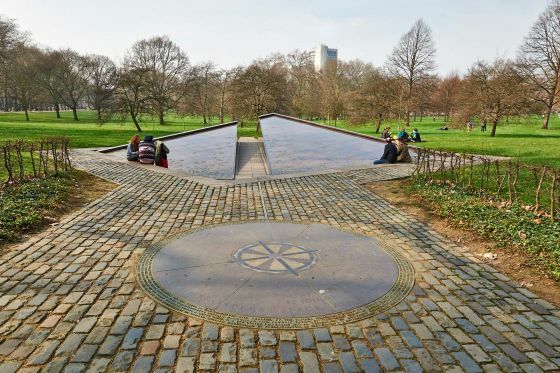 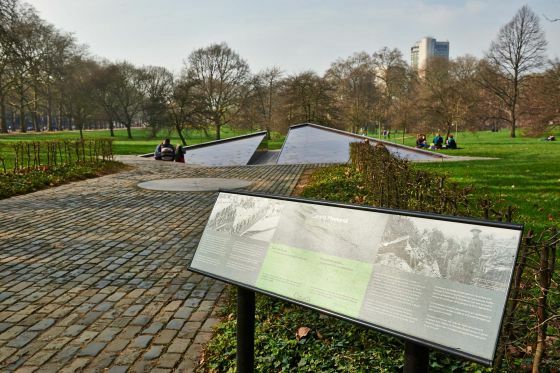 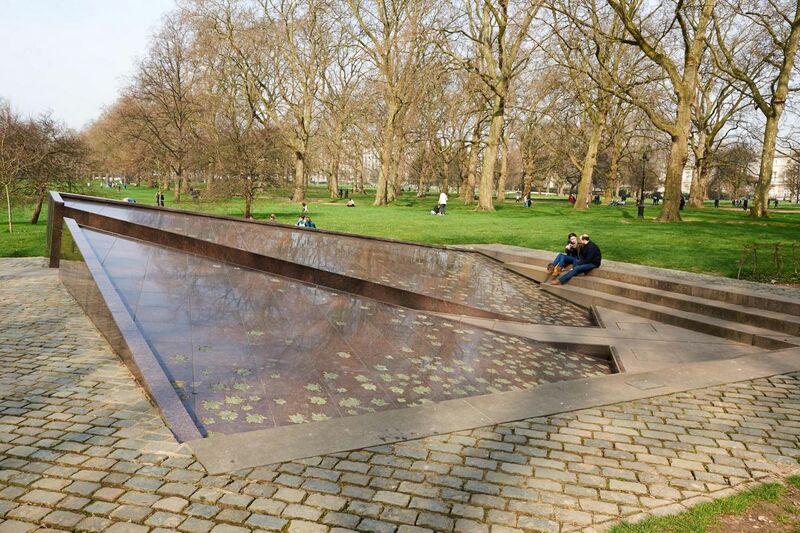 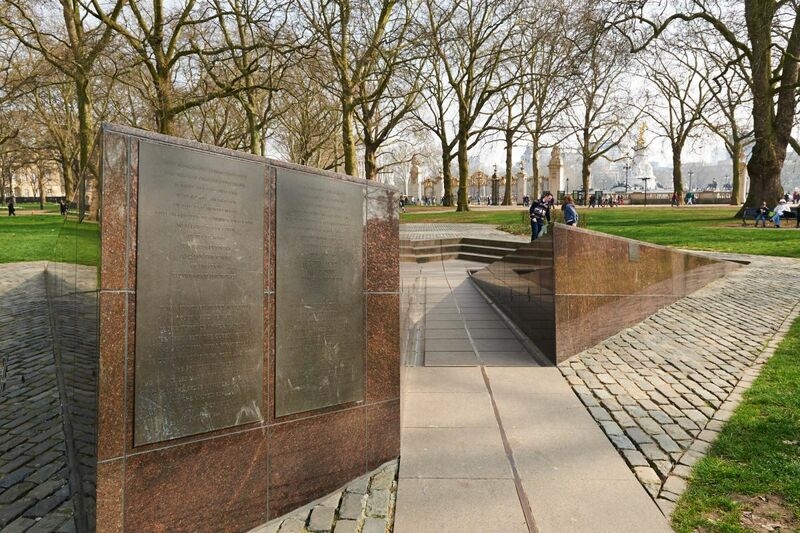 The Canada Memorial is located only a short walk into the park from Canada Gate and Buckingham Palace, view the Green Park Map.